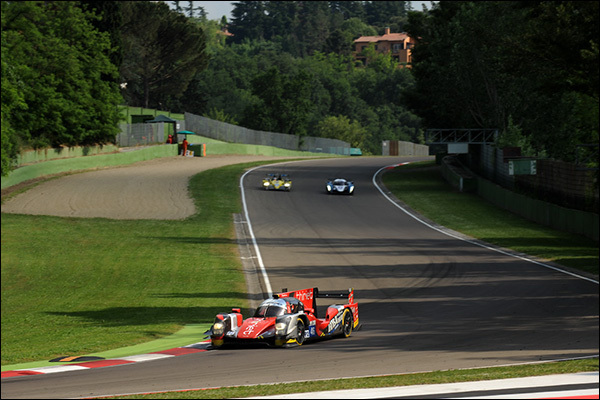 Round 3 of the 2015 European Le Mans Series moves to the rolling foothills of the Styrian Alps and the magnificent Red Bull Ring. 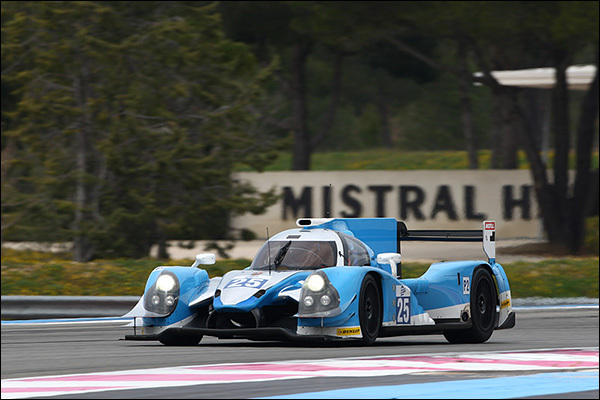 LMP2 sees a boost in numbers to 12 with the addition of the ex TDS now Algarve Pro Ligier Nissan. James Winslow, Michael Munemann and Andrea Roda are listed to drive the pretty light blue coupe. At the sharp end of the Championship though there is a battle royal underway as Championship leaders Thiriet by TDS Racing (#46 Oreca 05 Nissan) with French trio Pierre Thiriet, Ludovic Badey and Tristan Gommendy, hold just a slender 2 point lead over Greaves Motorsport (Gibson 015S Nissan) and their crew of Gary Hirsch, Bjorn Wirdheim and Jon Lancaster thanks to the victory in Imola and the third place in Silverstone. 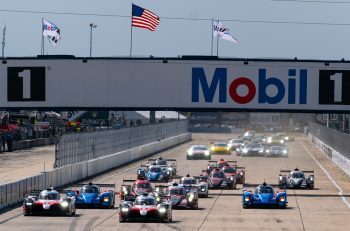 JOTA Sport are only six points adrift from the Championship leaders with Le Mans factory LMP1 men Filipe Albuquerque and Harry Tincknell once again back aboard with Simon Dolan. 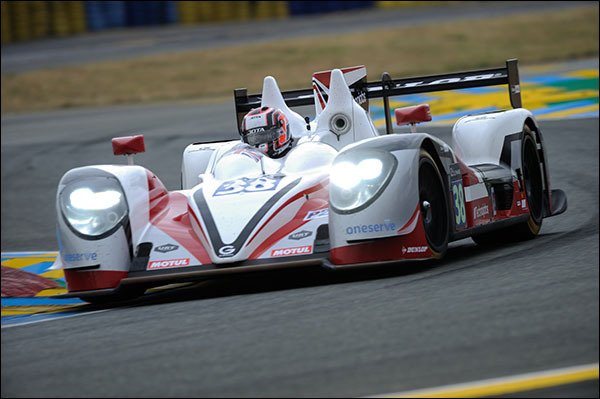 Murphy Prototypes had a good run at Le Mans, finishing 5th, and along with their second place finish in Imola with be hoping for a good race in Austria with Nathanael Berthon, Michael Lyons and Mark Patterson in the third of four Oreca 03 that will be on the grid. 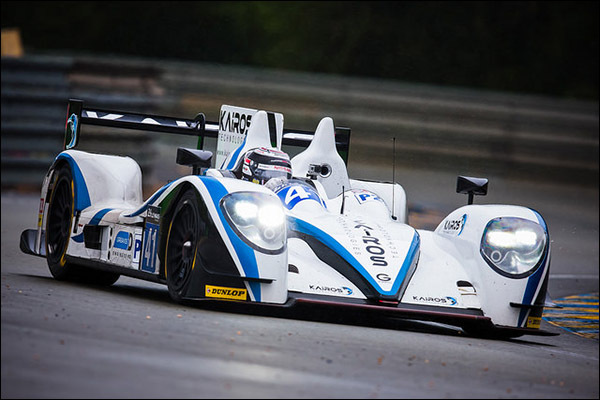 The fourth Nissan powered Oreca 03 is entered by Eurasia Motorsport with Chinese driver Pu Jun Jin and Dutchman Nico Pieter de Bruijn sharing the driving. Pegasus Racing will once again field the sole Morgan for Leo Roussel, David Cheng and Julien Schell and the grid is completed by the two Ligiers. 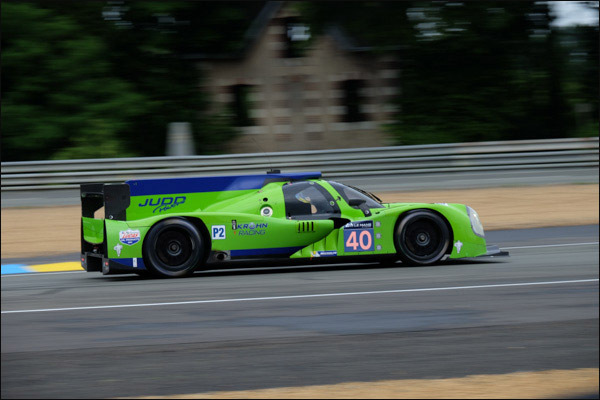 The Nissan powered Algarve Pro car and Krohn Racing’s Ligier JS P2 driven by Tracy Krohn, Niclas Jonsson and Julien Canal (replacing the IMSA cup-tied Ozz Negri) the Krohn Green machine the only Judd powered car on the grid. 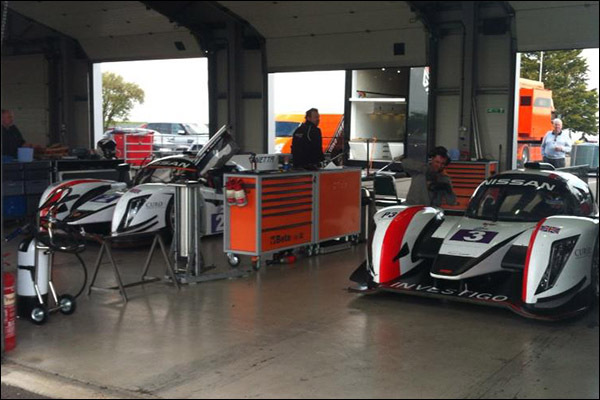 There’s a reduced four car entry in LMP3 with Team LNT borrowing the University of Bolton Ginetta this time out, their second regular car still in the USA after its recent test for IMSA. 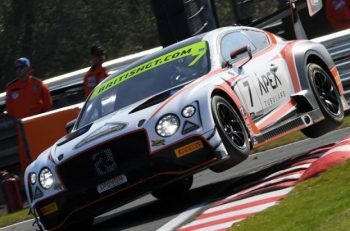 Chris Hoy and Charlie Robertson will be looking to return to the top step of the podium after Italy proved to be an unhappy event for both them and their sister car. 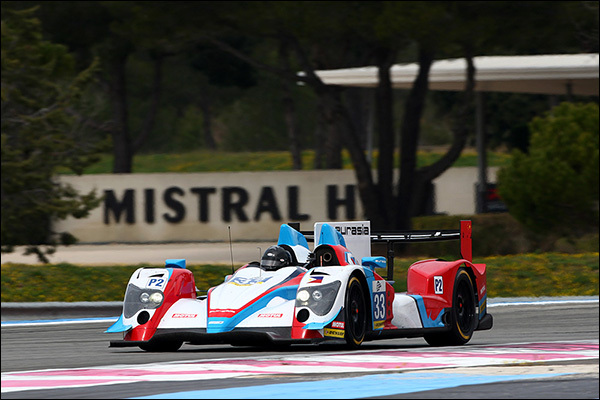 Russia’s Mark Shulzhitskiy will join Gaëtan Paletou of France in the #2 LNT run Ginetta. Spanish outfit SVK by Speed Factory is currently in second place after two races and Konstantin Calko, Jesus Fuster and Dainius Matijosaitis will be performing the driving duties in Austria. The LMP3 grid will be completed by all Italian team Villorba Corse, with Roberto Lacorte being partnered by Giorgio Sernagiotto in the #5 Ginetta-Nissan the team looking for better run after new car niggles at Imola. The fight for the LMGTE title is wide open as the 2015 season approaches the half way point. Just nine points covers the top seven teams and drivers. The LMGTE grid features the only Austrian team and driver taking part in the 4 Hours of the Red Bull Ring. Championship leaders AT Racing will field a Ferrari 458 Italia for Italian Alessandro Pier Guidi and Belarussian Father and Son duo Alexander Talkanitsa senior and junior. The 4 Hours of Imola winners currently hold a 3 point advantage over the #86 Gulf Racing UK Porsche 911 of all British driver line up of Michael Wainwright, Adam Carroll and Daniel Brown. Proton Competition currently lie in third in the LMGTE championship, just four points behind AT Racing. After finishing second in Italy in May Austria’s Richard Lietz will join German duo Sebastian Asch and Christian Ried in the team’s Porsche 911 RSR for the 4 Hours of Red Bull Ring. BMW Team Marc VDS return with Europe’s only LMGTE spec BMW Z4 and after two 4th place finishes in the opening two races of the ELMS season, the Belgian team will be hoping for a podium finish. in Austria from Andy Priaulx, Henry Hassid and Jesse Krohn. The rest of the eight car field in the LMGTE class is made up of Ferrari 458s. 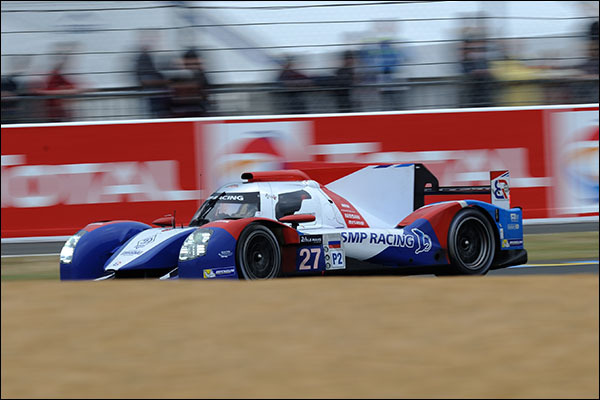 AF Corse will run two of these. 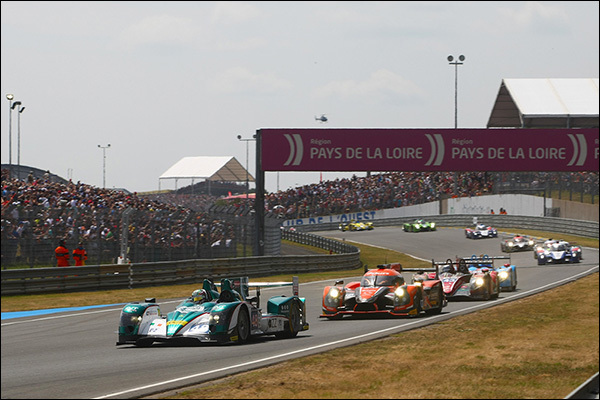 The #51 car for Peter Mann, Raffaele Giammaria and Matteo Cressoni was the top placed ELMS finisher at the 24 Hours of Le Mans in the LMGTE Am class with a 5th place. 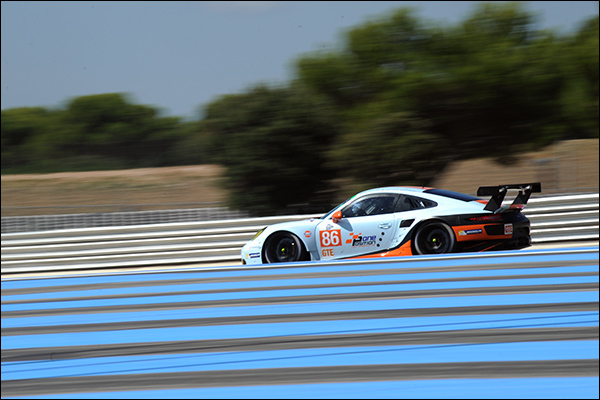 The #55 AF Corse run 458 will once again be crewed by Duncan Cameron, Matt Griffin and Aaron Scott and are currently lying in 5th place in the championship but just seven points behind AT Racing. 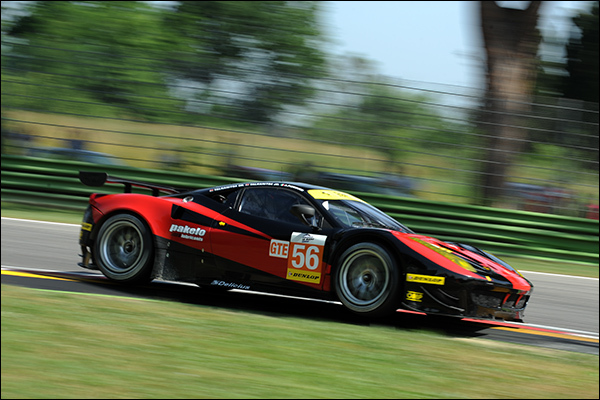 JMW Motorsport and Formula Racing will each run a Ferrari 458 at the Red Bull Ring. Thanks to a fine second place finish at home in Silverstone, JMW Motorsport are currently holding 4th place in the Championship, just 6 points behind AT Racing , with an all British driver line up of George Richardson, Robert Smith and Samuel Tordoff. Denmark’s Formula Racing Ferrari will feature race winners Johnny Laursen and Mikkel Mac and Italian Andrea Rizzoli. 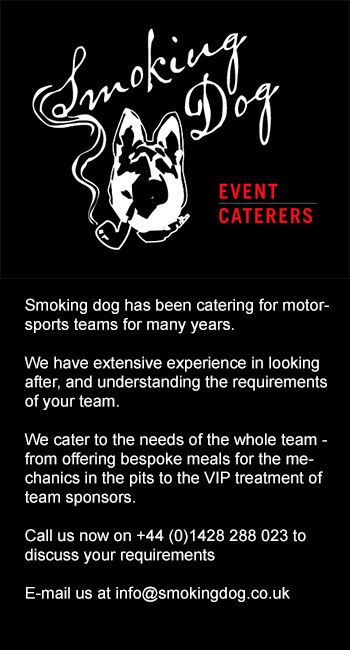 The five car GTC entry will feature BMW, Ferrari and Aston Martin. Thanks to a victory in Silverstone and a fourth place finish in Italy the TDS Racing team hold a five point advantage over the no64 AF Corse Ferrari. The TDS Racing duo of Dino Lunardi, Eric Dermont and Franck Perera will once again be challenging in their GTC spec BMW Z4 particularly as the minimum weight of the car will be 1280kg, a reduction of 20kg on the 1300kg it ran in Italy. Imola race winners Francesco Castellacci, Stuart Hall and Rino Mastronardi will be racing in the #62 AF Corse run Ferrari 458 and Giorgio Roda, Marco Cioci and Ilya Melnikov will be in the #63 458. The all Danish team Massive Motorsport will be bringing the only Aston Martin Vantage on the ELMS grid with Casper Elgaard and Simon Moller racing with fellow Dane, and reigning LMGTE Am World Champion, Kristian Poulsen – the Vantage too will run with a 20kg weight reduction, down to 1285kg.